Administrator for Dual Credit Programs and Instructional Pathways, Nick Gonzalez, announced his retirement March 7. The reception was held at the Cooper Center at South Texas College with family and colleagues close to him. Gonzalez was a founder of the Dual Enrollment program at STC. The Dual Credit program at STC collaborates with 23 school districts and 78 high schools across the valley. Gonzalez spent 20 years with STC. President of South Texas College, Dr. Shirley A. Reed attended a signing ceremony hosted by Texas A&M University-Kingsville (TAMUK) March 19. The signing ceremony consisted of articulation agreements with TAMUK’s engineering and computer science programs. The articulation agreements allow for an easy transfer of classes into a four year university for students. Innovative Tech Week was held from March 4-8 at South Texas College’s Technology Campus. Innovative Tech Week showcased all the different technology programs STC has to offer like welding, precision manufacturing, and diesel technology. Throughout the week, many career opportunities were presented to student’s interested in technology based fields. 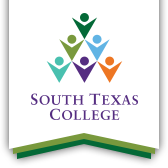 South Texas College hosted a Disability Awareness Day Community Health Fair March 20. The purpose of the event was to connect students, faculty, and staff to a diverse range of disability, health, and related community resources. The event offered counseling as well as student disability services. Information tables, giveaways, and games were available for participants. The Office of Career & Employer Services, along with the Bachelors of Applied Technology and Science Programs held the Dining Etiquette Reception March 28. The purpose of this event was to prepare students for the workforce by polishing their professional skill set.